Masutatsu Oyama was a karate master who founded Kyokushinkai, the first and most influential style of full contact karate. He was a 10th dan karateka and 4th dan kosen judoka. He was a Zainichi Korean, but he spent most of his life living in Japan and become a Japanese citizen in 1964. Mas Oyama was born Choi Yeong-eui in Gimje, South Korea, during the Japanese occupation and subsequent annexation of Korea. His parents were Yangban or nobility) in the region where he was born. At a young age he was sent to Manchuria to live on his sister’s farm. Oyama began studying martial arts at age 9 from a Chinese seasonal worker, working on his sisters farm. His name was Lee and Oyama said he was his very first teacher. Lee gave the young Oyama a seed which he was to plant; when it sprouted, he was to jump over it one hundred times every day. As the seed grew and became a plant, Oyama later said, “I was able to jump between walls back and forth easily.” However, the story of the young Oyama’s life has been sensationalized in manga and movies so the line between fiction and fact has become obscure. In March 1938, Oyama left for Japan following his brother who enrolled in the Yamanashi Aviation School Imperial Japanese Army aviation school. He was inspired to go to Japan by General Kanji Ishihara who was against the invasion of Asian neighbors (as a consequence, he was ostracized by higher ranks of the Japanese Army), to carve out his future in the heart of the Empire of Japan. In 1945 after the war ended Oyama left the Aviation school. He began “Eiwa Karate Reseach Center” in Suginami ward but closed quickly because “I soon realized that I was an unwanted Korean. Nobody would rent me a room.” He finally found a place to live at a corner of Tokyo. This is where he met his future wife whose mother ran a dormitory for university students. In 1946, Oyama enrolled in Waseda University Sports Education. Wanting the best in instruction, he contacted the Shotokan (Karate school) operated by Funakoshi Giko, the second son of karate master Funakoshi Gichin. 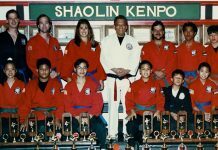 He became a student, and began his lifelong career in Karate. Feeling like a foreigner in a strange land, he remained isolated, and trained in solitude. Oyama attended Takushoku University in Tokyo and was accepted as a student at the dojo (training hall) of Funakoshi Gichin, the founder of shotokan. He trained with Funakoshi for two years, then studied Goju Ryu karate for several years with “So Nei Chu” a senior student of the system’s founder, Miyagi Chojun and was eventually graded to 8th Dan in the system by Yamaguchi Gogen who at the time was the head of Goju ryu in mainland Japan. Korea had been officially annexed by Japan since 1910. During World War II (1939–1945) there was much unrest throughout Korea. As South Korea began to fight against North Korea over political ideology, Oyama became increasingly distressed. He recounts, “though I was born and bred in Korea, I had unconsciously made myself liberal; I felt repulsion against the strong feudal system of my fatherland, and that was one of the reasons which made me run away from home to Japan.” He joined a Korean political organization in Japan to strive for the unification of Korea, but soon was being targeted and harassed by the Japanese police. He then consulted with a fellow Korean from the same native province, Mr. Neichu So, who was a Goju Karate expert. Around the time he also went around Tokyo getting in fights with the US Military Police. He later reminisced those times in a television interview, “Itsumitemo Haran Banjyo” (Nihon Television), “I lost many friends during the war- the very morning of their departure as Kamizake pilots, we had breakfast together and in the evening their seats were empty. After the war ended, I was angry- so I fought as many US Military as I can, until my portrait was all over the police station.” At this time, Mr. So suggested that Oyama retreat to a lone mountain for solace to train his mind and body. He set out to spend three years on Mt. Minobu in Yamanashi Prefecture, Japan. Oyama built a shack on the side of the mountain. One of his students named Yashiro accompanied him, but after the rigors of this isolated training, with no modern conveniences, the student snuck away one night, and left Oyama alone. With only monthly visits from a friend in the town of Tateyama, the loneliness and harsh training became grueling. Oyama began to doubt his decision, so he sent a letter to the man who suggested the retreat. Mr. So replied with encouragement to remain, and suggested that he shave off one eyebrow so that he would not be tempted to come out of the mountain and let anyone see him that way. Oyama remained on the mountain for fourteen months, and returned to Tokyo a much stronger and more fierce Karateka. He was forced to leave his mountain retreat after his sponsor had stopped supporting him. Months later, after he had won the Karate Section of Japanese National Martial Arts Championships, he was distraught that he had not reached his original goal to train in the mountains for three years, so he went into solitude again, this time on Mt. Kiyosumi in Chiba Prefecture, Japan and he trained there for 18 months. Portions of the early history of Mas Oyama are disputed, particularly by one of Oyama’s early students, Jon Bluming. Masutatsu OyamaIn 1953 Oyama opened his own karate dojo, named “Oyama Dojo,” in Tokyo but continued to travel around Japan and the world giving martial arts demonstrations, including the fighting and killing of live bulls with his bare hands. His dojo was first located outside in an empty lot but eventually moved into a ballet school in 1956. 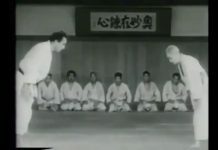 Oyama’s own curriculum soon developed a reputation as a tough, intense, hard hitting but practical style which was finally named ‘kyokushin’ in a ceremony 1957. He also developed a reputation for being ‘rough’ with his students, often injuring them during training sessions. As the reputation of the dojo grew students were attracted to come to train there from in and outside Japan and the number of students grew. Many of the eventual senior leaders of today’s various kyokushin based organisations began training in the style during this time. In 1964 Oyama moved the dojo into the building that would from then on serve as the kyokushin home dojo and world headquarters. 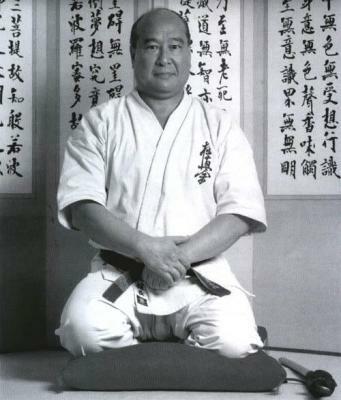 In connection with this he also formally founded the ‘International Karate Organization Kyokushinkaikan’ (commonly abbreviated to IKO or IKOK) to organise the many schools that were by then teaching the kyokushin style. In the same year, his dojo received a challenge from Muay Thai (Thai Boxing). 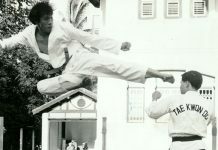 Oyama, believing that no other style was comparable to his, accepted the challenge and sent three students to Thailand who won 2 of the 3 fights, thus redeeming the reputation of his karate style. After formally establishing Kyokushin-kai, Oyama directed the organization through a period of expansion. Oyama and his staff of hand-picked instructors displayed great ability in marketing the style and gaining new members. Oyama would choose an instructor to open a dojo in another town or city in Japan. 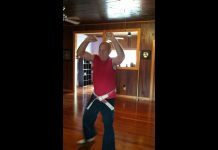 The instructor would move to that town and usually demonstrate his karate skills in public places, such as at the civic gymnasium, the local police gym (where many judo students would practice), a local park, or conduct martial arts demonstrations at local festivals or school events. In this way, the instructor would soon gain a few students for his new dojo. After that, word of mouth would spread through the local area until the dojo had a dedicated core of students. 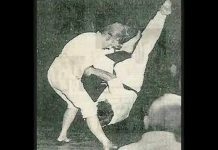 Oyama also sent instructors to other countries such as the United States of America, Netherlands, England, Australia and Brazil to spread Kyokushin in the same way. Oyama also promoted Kyokushin by holding ‘all-world’ karate tournaments every few years in which anyone could enter from any style. 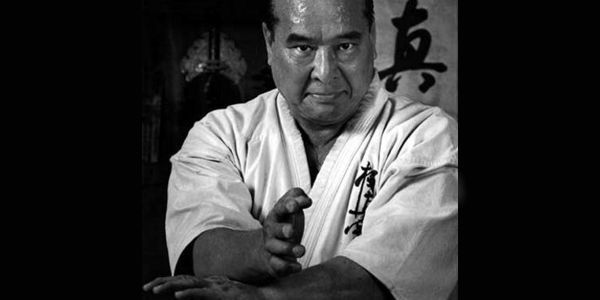 Before dying, Oyama built his Tokyo-based International Karate Organization, Kyokushinkai, into one of the world’s foremost martial arts associations, with branches in more than 120 countries boasting over 10 million registered members. In Japan, books were written by and about him, feature-length films splashed his colorful life across the big screen, and comic books recounted his many adventures. Even thought Mas Oyama never smoked, he died of lung cancer on April 26, 1994 at the age of 70. A manga about Oyama’s legacy was written by Ikki Kajiwara. He called the magna Karate Baka Ichidai (“A Karate-Crazy Life”) and it was published in Weekly Shonen Magazine in 1971, The art in Karate Baka Ichidai was done by Jiro Tsunoda and Joya Kagemaru. A 47 episode anime adaptation was released in 1973, the anime had several changes in the plot and for some reason replaced Mas Oyama with a fictional character named Ken Asuka as the main character. Although some of its plot was different from the manga, the anime was still inspired by Oyama’s legacy like in the manga. 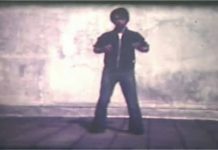 Oyama was played by Japanese actor Sonny Chiba in the martial arts film trilogy based on the manga, Champion of Death (1975), Karate Bearfighter (1975), and Karate for Life (1977). Ikki Kajiwara, Jiro Tsunoda and Joya Kagemaru were credited as the original creators of the film trilogy. Oyama himself actually appeared in the first two films. The 2004 South Korean film Fighter in the Wind or Baramui Fighter portrayed Oyama’s life story. SNK video games character, Takuma Sakazaki (AKA Mr. Karate), from King of Fighters and Art of Fighting series of games, was inspired by Mas Oyama. Takuma Sakazaki is the founder and grandmaster for the fictional Kyokugenryu Karate, which is heavily based on Mas Oyama’s Kyokushin Karate. Grappler Baki manga character Doppo Orochi is a master karateka based on Mas Oyama, founding his own school of Karate, Shinshinkai; the other most known Keisuke Itagaki’s work, Garouden, features a mighty character, Shozan Matsuo, who’s apparently again inspired by Oyama.